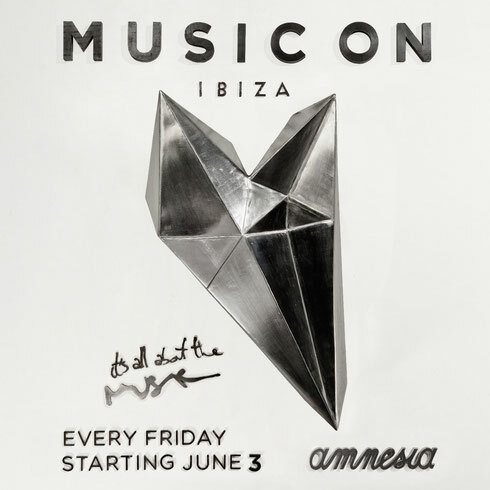 Tonight sees the start of the fifth season of Music On at Amnesia Ibiza, where Marco Carola, Paco Osuna, Stacey Pullen, Leon and Joey Daniel are charged with kicking off the first night of the techno and house adventure. 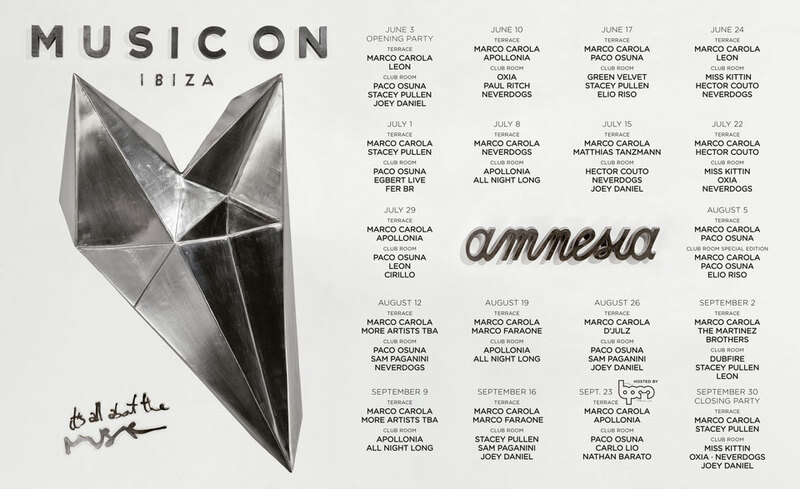 On the Terrance, Marco Carola will be accompanied by Leon, an essential Music On family member since 2012. Leon has completed successful residencies with Music On Ibiza, Miami and NY, and just a few months ago the Italian DJ and producer launched his second album, ‘Rave On’, on his label Chelsea Hotel Records. In the Club Room Spain’s Paco Osuna will offer his techno sound full of dynamic, dark and imaginative beats. But first, Detroit DJ/producer Stacey Pullen will showcase his purist techno tastes. For more than two decades, Stacey has compounded his reputation as a producer with that of being possibly one of the world's most imposing DJs, playing across the globe each year. Joey Daniel will be responsible for opening the room, with the Dutchman’s dubby and bass-led techno musical spectrum making him a textbook figure for Music On.